Meanwhile, since the NFL season is nearing the half way point some players should start to be recognized from their great play on the gridiron and should be considered for a new contract. Today, Nolan Carroll II is the lucky man. Carroll is having a good season so far. Carroll has been a good player since he step in the NFL back in 2010. Carroll has had so far 2 good seasons in Philadelphia. This season he has played and started all 6 games, racking up 24 tackles, 6 pass deflections, and 1 huge interception for a touchdown. Carroll is finishing up his final year in the 2 year deal worth $5.25 mil that he signed back in 2014. He is currently 28 years old and is in his prime right now. 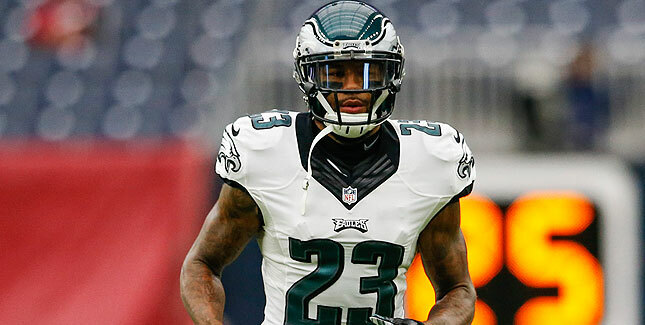 The Maryland product is the Eagles best coverage and run stopping corner on the roster. He is a must resign for the Eagles and should be kept on the team due to one of the worst secondaries in the NFL for 2 straight seasons. Carroll should receive a 2 year deal worth $6 mil with incentives that could reach up to $8 mil and after that deal he would be 30. Carroll should try and stay in Philly because no one in the NFL would consider laying money out on the table to sign him for that amount.